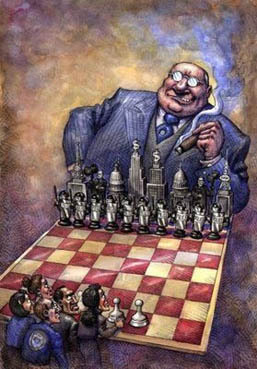 Large-scale political and economic challenges are confronting the US multi-national corporate elite. Apple, Google, Facebook, Microsoft, Pfizer and scores of other multinational tax evaders are facing the triple threat of multi-billion dollar fines, the redistribution of their wealth and the possible reintroduction of equitable socio-economic programs, which could undermine their power. US taxpayers subsidize the US multi-nationals even when they relocate jobs abroad to cheap labor markets and move their corporate head offices to low-tax countries. 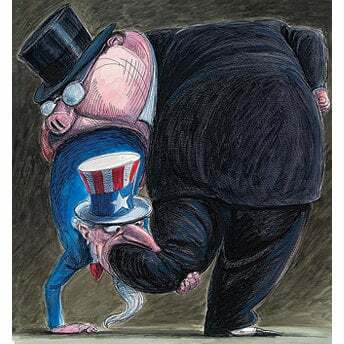 The result is that the US government has to increase the tax burden on wage- salaried workers and small businesspeople to finance social programs and critical infrastructure because the US multinationals have moved their ‘addresses’ to tax havens. To the extent that international capitalism has ‘recovered’ from the economic crisis of the recent past, it is thanks to Chinese–Asia capitalism. The policy failures of the US Treasury, Commerce and Trade departments have led to calls for protectionism – domestically with the Trump campaign – and growing militarism among both candidates. Increasingly the struggle for world markets among regional capitalist blocs- Anglo-American, European and Sino-Asian –defines the nature of global instability.